*Product received. This is a feature ONLY. Leveraging her extensive marketing and branding experience, as well as her inspired take on vibrant color and playful patterns, she set out to build a brand that married her signature aesthetic with practical solutions. Two short years later, she launched Inspired by Dawn, with its debut product, the Style Rx line of originally designed pill box cases! 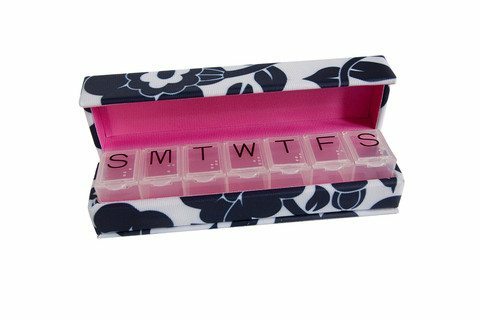 I think these would be perfect gifts for any women who has to take medication, daily. Great for gift giving this holiday season and even better for stocking stuffers for those who would benefit from these. You can purchase the Style Rx Pill box online at http://www.inspiredbydawn.com/. They retail for $34.00. One person is going to win an Style Rx Pill Box! Easy! Just use the RC form below! Remember, the giveaway rules are always right under the RC form under Terms and conditions. GL! I would keep it for myself cause I take lots of medicine and it helps me remember them. I would give it to a friend that is very sick. I would give it to my aunt. She must take a dozen pills a day. Thanks for the chance to win it. If I win I will keep it and give my old one to Goodwill. I would give it to my Aunt who is currently fighting cancer! I would give this to my daughter for her daily vitamins and supplements. 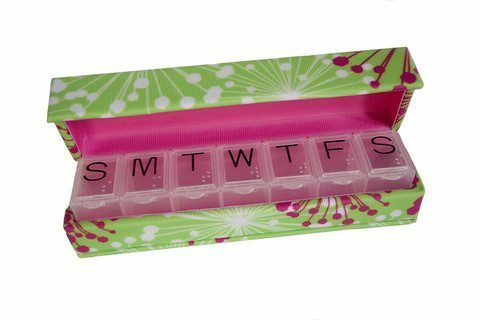 I would love to keep this designer pill box for myself. I would keep it for myself I need one of these! If i won this it would be for me. i take a lot of medicine. I would love to give this to my mother in law. She complains about her plain old ugly plastic pill case! I would keep it for myself since I take a couple pills a day. If I were to win I would keep this for myself. My mom, she takes a lot of meds. I would keep this for myself. A gift to me! I would keep it, these are adorable and I take a ton of medication! I have to be selfish and keep it! I am sorry but I love it so much!